The tragic loss of Malaysian flight MH370 highlighted some compelling facts. Australia is responsible for some of the largest territory in the world—our search and rescue area covers nearly one tenth of the globe. The only technology that can effectively monitor such a large area is satellite. During the early search days for MH370 the media reported debris sightings (unconfirmed) made by various satellites: Australian, Chinese and even Thai. The issue is, Australia doesn’t have observation satellites. A Synthetic Aperture Radar (SAR) Satellite is able to provide all weather, day and night imaging, penetrating clouds and fog, and detecting man-made objects. An Australian SAR satellite could be tasked to image anywhere in the search and rescue area twice per day. It could cover wide areas in scan modes, providing an effective means for broad area reconnaissance and searches. Once detections are made, the search area can be concentrated, allowing planes, UAVs and ships to be deployed more efficiently to provide detailed observations and possible identification. Our search and rescue area is so large that aircraft flying to the edge of this area are at their operational limits. A P-3 Orion would take 4–5 hours to reach the MH370 search area, have 1–2 hours to search before making the return 4–5 hour flight. In those 1-2 hours of searching, the P-3 could cover an area of 4000–8000 square kilometres. A SAR satellite can image a thousand square kilometres in scan mode (and identify objects 30m in resolution) and 100 square kilometres in high resolution mode (objects at 1m resolution) in minutes, and in all weather conditions. Why an Australian satellite? First, delays can be important. The use of other nations’ satellites generally incurs response delays of 24 to 72 hours. A downlink station on Australian soil would reduce the delivery time to hours. In search and rescue operations the difference is about more than timely response; it might be about life and death. Second, a national asset responds to national needs. Satellites owned by other countries are tasked to respond to Australian requests on availability. That is, when they have spare capacity, they may image areas that are of priority to Australia. Depending on other states’ priorities, Australia could find itself at the end of the queue. SAR satellites are routinely used for defence, border protection, maritime surveillance, Antarctic operational support (such as mapping sea ice flows and open waterways) and disaster management. Other uses include soil and environmental monitoring, subsidence, agriculture and carbon counting. Australia is no stranger to the use of SAR satellites. During the floods in 2010 and 2011, the Queensland State Emergency Service was supported by imagery from the Italian COSMO SkyMed SAR satellites. During the storm, Skymed SAR images were collected by a team at the University of New South Wales, which prepared flood maps and sent them to disaster management teams. No other data was available to assess the extent of the area affected. The UNSW team also provided critical response imagery to disaster relief teams in Szechuan, China and Christchurch, New Zealand which were both hit by devastating earthquakes. The same team also supports studies of subsidence in Australia caused by the underground extraction of minerals, gas and oil. Subsidence has caused damage to local infrastructure, roads, rail and communities who are in some cases located over the mining areas. Being a good global citizen means aiding others affected by natural disasters (or other events) and providing assistance when needed. Who knows when we might be struck down by nature’s caprice? As a middle power and regional player, we should be able to provide a range of capabilities to not only aid ourselves, but support the needs of others. 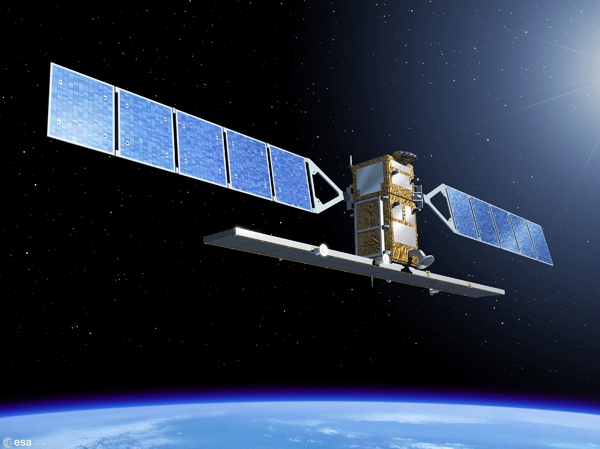 The 2009 Defence White Paper identified the need for an SAR satellite, which was to be a whole-of-government project shared between Defence and civilian users. Although there are many challenges in the sharing of Defence and civilian assets, some international models seem to work effectively. Those include the Italian COSMO-SkyMed  satellite constellation, with separate Defence and civilian infrastructure benefitting from the same space-based asset, and the Canadian Radarsat  program. Australia regularly participates in international space matters—we provide input to space treaties, have a seat on the UN Security Council and participate in Space Situational Awareness. Yet, we don’t have a space agency, while more than 60 other countries do. We have no satellites other than the communications satellites operated by SingTel Optus. NBNCo’s two satellites are yet to be launched. The 2009 Defence White Paper radar satellite project never materialised. In 2013, the government published a Satellite Utilisation Policy  that provided a good accounting of all the international satellites that we use extensively. It’s time we join the large and growing list of space-faring nations and take our rightful place as a space-service provider, not just a user. Space-based services provide a critical infrastructure and it’s in our national interest to have our own SAR satellite. Jack Scott is a career professional in the area of space engineering working for companies in the USA and Australia. Image supplied by author.